I love nail art as much as the next girl, but sometimes less is definitely more. 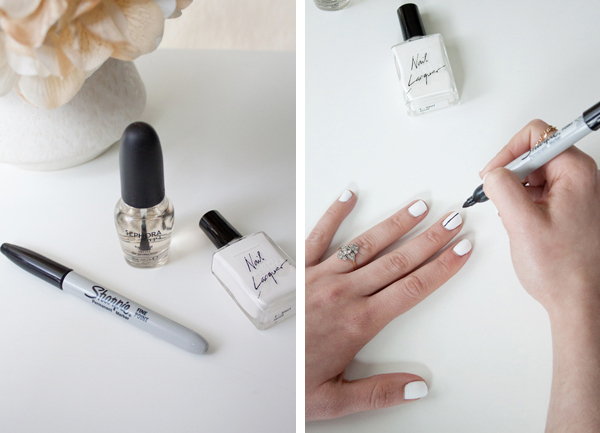 There's something to be said for simple, back-and-white nails that look oh-so fresh and make me feel like spring is finally on the horizon... you know what I mean? So after being inspired by the design Jin Soon Choi created for Tibi's spring 2014 runway, I decided to reach for a Sharpie and create my own version. I swapped the light grey hue used at Tibi for a white base, and opted for three vertical lines instead of a mix of horizontal and vertical orientations. 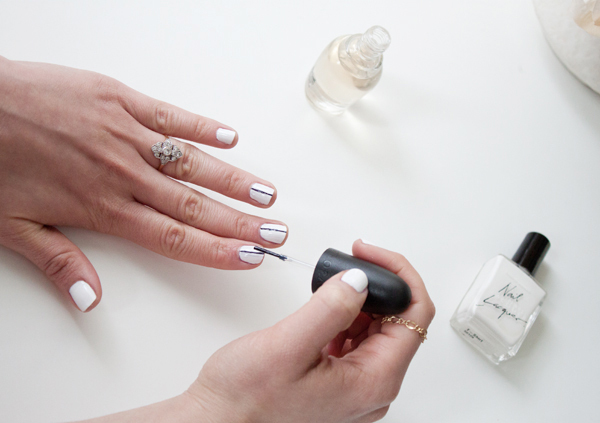 A clear top coat sealed the deal — how's that for no-fuss nail art?